Hobbiton. Glowworm Caves.Thermal Pools Smell Awful. No really, they do. It must be all the sulpher. If you’ve ever been to Rotorua, you know what we’re talking about, haha. 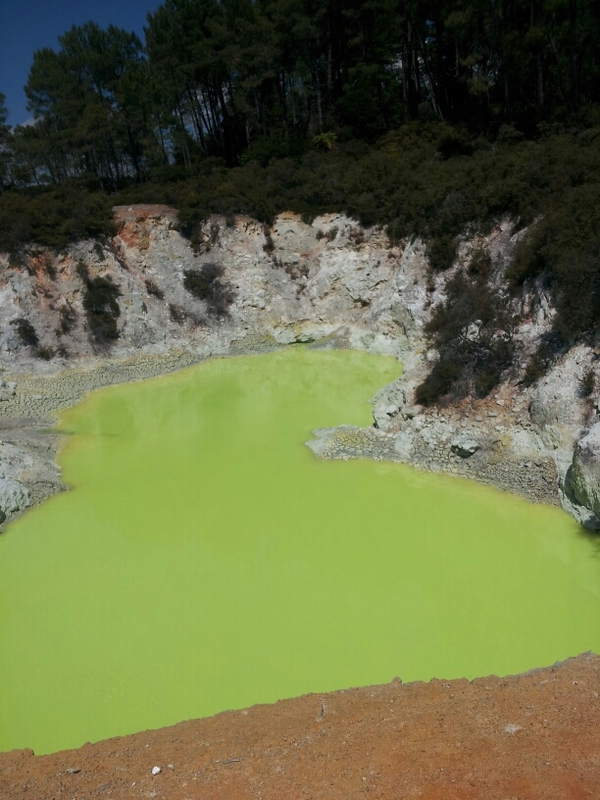 Smell aside, though, Rotorua is definitely worth a visit. Lots to do and see and, like back in Cairns, we had to pick and choose how to spend our time there. 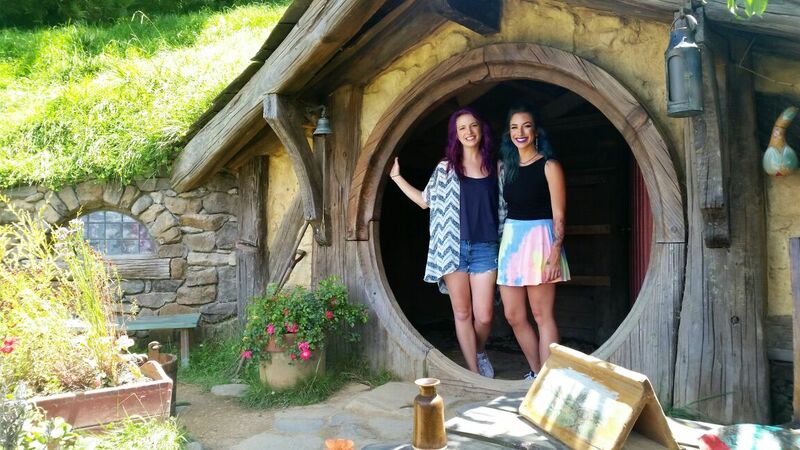 Hobbiton was a no-brainer for us–we love the films. It was $75 for the tour, and they give you a free beer, (or gingerbeer if you’re driving as I was), at the end, haha. We loved the tour!! It looks exactly like it does in the movies, which makes sense. The guides are helpful and super knowledgeable. If you don’t really like the movies, then I’d say skip Hobbiton. We met a bunch of fellow travellers who didn’t really enjoy it–but none of them enjoyed the movies, either. Haha. 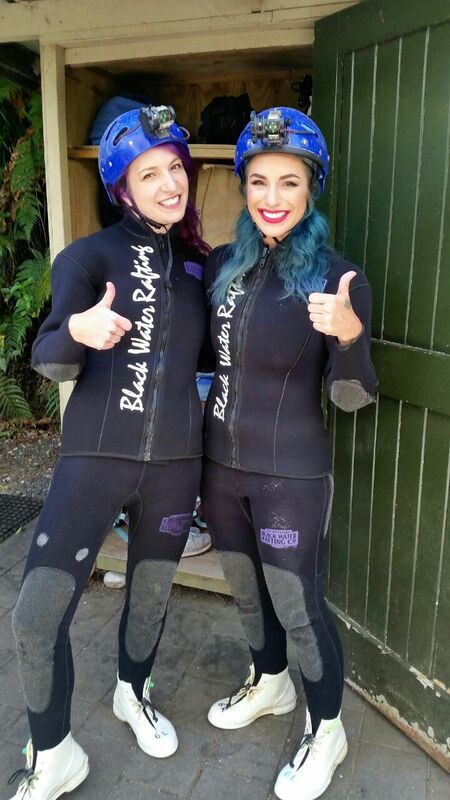 The next day we went on a tour of the Waitomo Glowworm Caves with Black River Rafting Co. WOWWWWWW AMAZING. Worth every single dollar. (Honestly, I feel like it was underpriced–that’s how incredible the experience was). I have nothing to compare it to, because I’ve honestly never done ANYTHING like it before. Maybe it would be similar to combining a lazy river with an underground mine tour, haha. They basically suit you up in a wetsuit and helmet and take you down into the glowworm caves for a couple hours. Half of your time is spent climbing over rocks, and the other half is spent floating on your inner tube, in complete darkness, staring up at the glowworms. There are also two waterfalls that you jump into–backwards. So cool. And that was the BASIC option. The more advanced tours involve legit rock climbing and whatnot. I would go back to Rotorua just to do another one of their tours. Oh! And a post-tour lunch is included. The next day we headed over to Napier, but not without a quick visit to a thermal wonderland. The craters and pools remind me of what Jupiter looks like. Right. Because I’ve been to Jupiter. It looked like what I imagine other planets look like. There. Guaranteed, Jess was itching to jump into the milky lime green pool we passed by. (Signs indicated the pools were 100°C. Equals no swimming for Jessay). We’ve exhausted our “activities” budget now, haha. So we’ll probably spend our last few days figuring out just how many local chocolates and lollies we can fit in our backpacks. (The correct response is “not very many”). Previous Previous post: 12 Hours on Queen St.
Next Next post: Warning: The Travel Bug may have Side Effects.